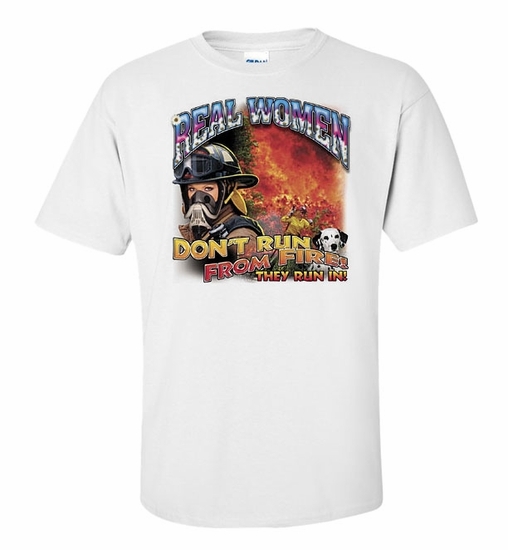 Honor the women fire fighters with our Real Women Don't Run from Fire! t-shirts and sweatshirts. We have colors for everyone! Serve your best coffee in a Real Women Don't Run from Fire! coffee mug, a great gift. Remember� you found the Real Women Don't Run from Fire! Shirts at TShirtHub.com, where high quality came at a low price.